Dorset is a beautiful county. We visit regularly, drawn mainly to the Jurassic Coast. Something that I found increasingly annoying is the greed of some landowners in our coastal locations. You are driving along, thinking about a coffee and perhaps a bacon sarnie and you see a sign for a 'beach cafe', this one happened to be at Ringstead. Your interest is piqued! It is a place you don't remember having been to. You decide to investigate but as you draw closer you see a sign saying 'Carpark £5'. Oh! This was an issue on two fronts. Firstly we didn't have enough change. All we wanted was to get is a coffee and some breakfast, not make a day of it, so adding £5 to the bill for 30 minutes to an hour seemed a little over the top. Now £5 is great value for a day's parking at a lovely beach but when you are stopping for a quick look or a cup of coffee £5 is just plain greedy. Especially, when as a business I expect you are looking to bring customers into your 'beach cafe'? To make matters worse the miserable owners have changed the sign to say '£5 Toll Road and Carpark'. Perhaps a bitter attempt to extort money from those who take the road but then decide to do a u-turn unhappy at the charge? I think I would take issue at being charged £5 to follow a track to a beach cafe. How many never use the Cafe? How many would have happily paid £1 or £2 but do that u-turn? How about a sign saying 'Spend £10 in the Cafe and get your parking free'? It shows a total lack of foresight. The Cafe apparently isn't very good anyway (Trip Advisor) so perhaps their intentions are to spare people the poor tea and the average cakes. Maybe it is a good deed! At Ringstead there is thankfully also a National Trust carpark further up the road to the left of the first turn off. It is a long walk down to the beach but I'm happier to support the National Trust and for a coastal photographer or regular traveller in the UK the National Trust fee can be worthwhile for the free parking alone. Throw in free entry to so many wonderful properties and locations and it becomes a no-brainer. 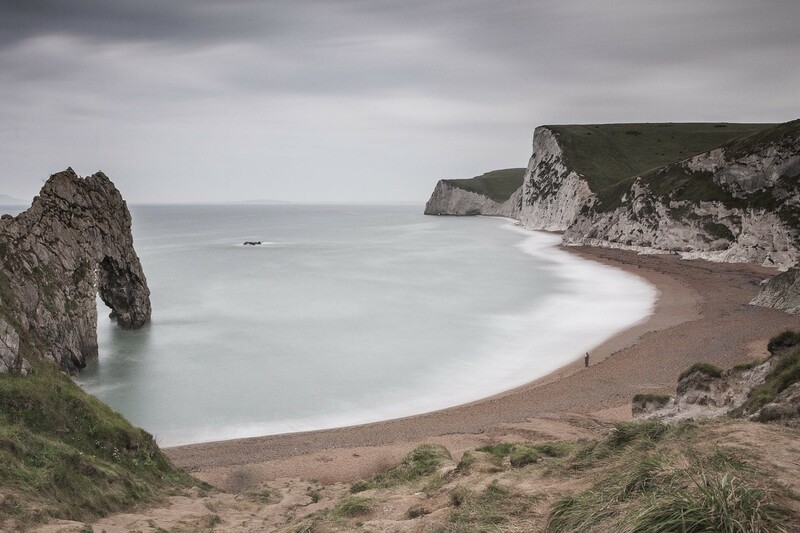 Check out the National Trust Dorset page for all attractions and car parks. Kimmeridge Bay, which is a lovely spot is alas also blighted by the same parking issue. Again the fee is well worth it if you plan to spend some time exploring, go for a long walk, head in for a surf, do some rock pooling, some fossil hunting but £5 to find out what lies at the end of a road is prohibitive and well a bit greedy. Naturally, it is also a nightmare to turn around should you not have the cash. Perhaps in future, technology will allow these carpark owners to become a little more flexible and accommodating. They forget that they don't own a monopoly on great coastal locations and people will inevitably vote with their feet. This entry was posted in Uncategorized and tagged coastal photography, dorset, kimmeridge parking, landscape photography, national trust, outdoor photography, parking charges, rant, rich clark images, ringstead bay, ringstead parking.